After you've enjoyed your coffee for the day, put the grounds to good use. Here's 5 ways how: 1. Add the grounds to your compost for a healthy dose of acidity. 2. 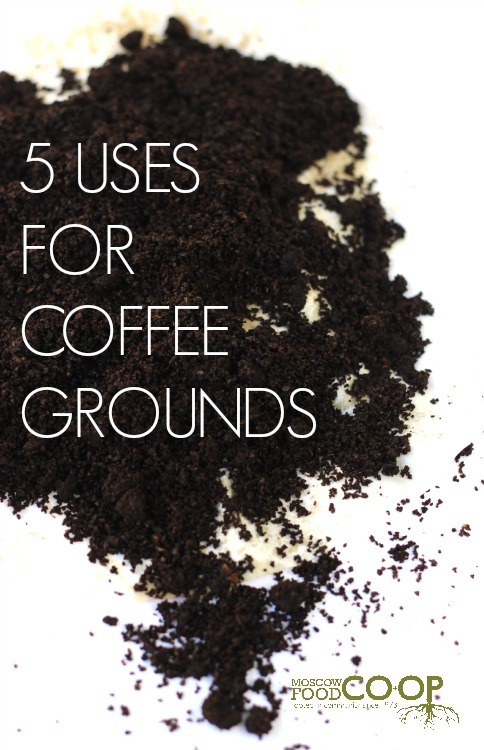 Mix coffee grounds with olive, vitamin E or mineral oil and exfoliate dry skin. 3. Has your home been invaded by an army of ants? Sprinkle coffee grounds around doors and porches to repel them. 4. If your hands seem to perpetually smell like onions or garlic from cooking, wash hands and scrub with coffee grounds. They're great for neutralizing odors. 5. If neighborhood cats think your garden is the best litter box ever, mix coffee grounds with orange peels and sprinkle into soil. The pungent odor will keep cats looking elsewhere.